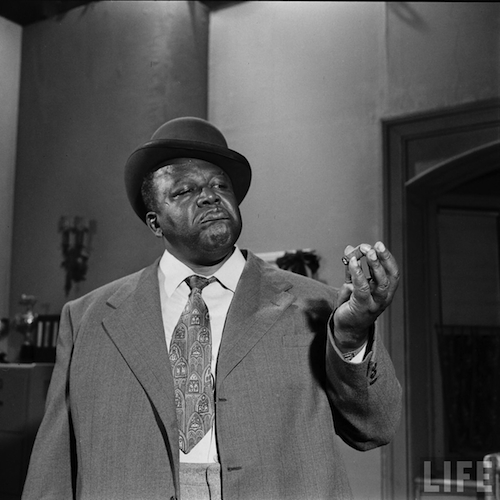 Spencer Williams is best known for his role as Andy in the 1950s “Amos ‘n Andy” television series and less known for his extensive work in film. Before achieving his TV fame, he directed, wrote and performed in a string of movies aimed at black audiences. Williams directed nine (yes, nine!) features during the 1940s. 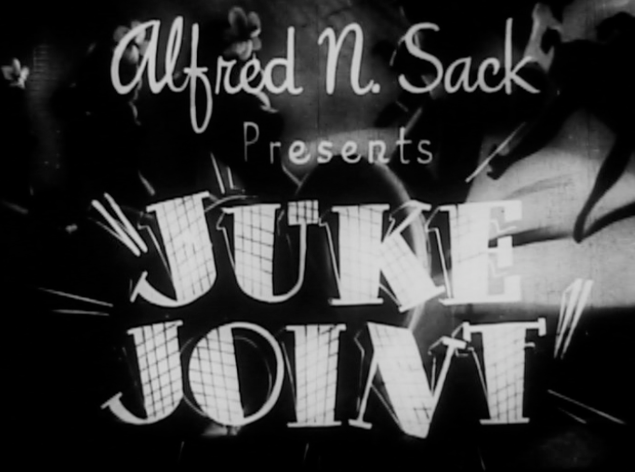 These films, now considered part of the “race film era”, were low-budget, independently-produced films with all-black casts created solely for black audiences. CFA Board Member and University of Chicago’s Jacqueline Stewart adds, “Unfortunately, Williams is typically overshadowed by the flamboyant figure of fellow Black film pioneer Oscar Micheaux in accounts of the race film era, despite the fact that Williams was quite prolific, and made films that raise unique questions about Black cinematic aesthetics and the contours of Black modernism and modernity.” Thanks to scholars, like Stewart, Williams’ films have gained some recognition. 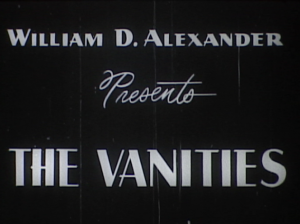 One of Williams’ feature films, THE BLOOD OF JESUS (1941) was selected by the Library of Congress for inclusion on its National Film Registry, a listing of films deemed “culturally, historically or aesthetically significant” and therefore worthy of preservation. It was the first race film to be added to the registry. In recent decades critics have also taken notice of Williams’ film career. Film critic David Sterritt discusses THE BLOOD OF JESUS in relation to Williams other work: “There’s nothing remotely slick or sophisticated about this movie, which (like all the Williams films I’ve seen) has rough-hewn performances, editing, and camera work. Such technical drawbacks seem unimportant, though, in light of the moral passion and visual creativity that mark the picture. While its cinematic qualities are unpolished, they allow for a directness of expression and a purity of atmosphere that have few equivalents in Hollywood or anywhere else. Just as important, the performances bypass Hollywood-style realism in favor of a ritual quality that recalls the traditions of Southern black churches–just as some of the most powerful and complex American jazz has deep roots in the heritage of gospel and church-choir music.” Tonight, as part of our MOVIES UNDER THE STARS series (co-presented with Black Cinema House), we’ll screen Williams’ 1947 feature JUKE JOINT (1947) alongside the William D. Alexander short film, THE VANITIES (1946) in Chicago’s Grand Crossing Neighborhood. 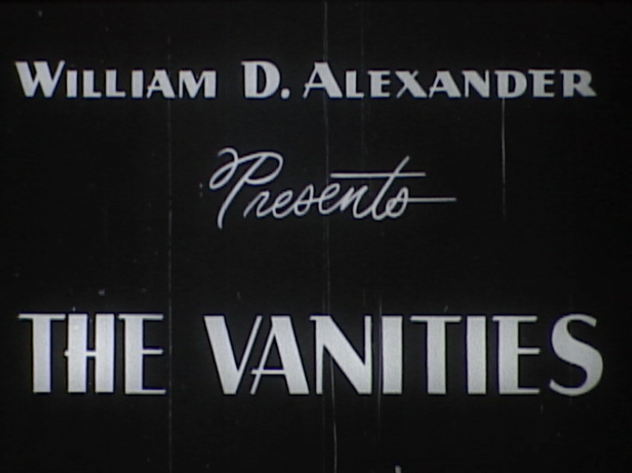 Alexander’s THE VANITIES features Bette Davis impersonations in a 1940s deep south night club, while Spencer William’s JUKE JOINT takes you further into the disreputable night club life as two con men (one played by Williams!) get involved in a small town beauty contest. Both films were considered lost until they were located in a Tyler, Texas, warehouse in 1983 and are now part of the “Tyler, Texas Black Film Collection” out of Southern Methodist University. 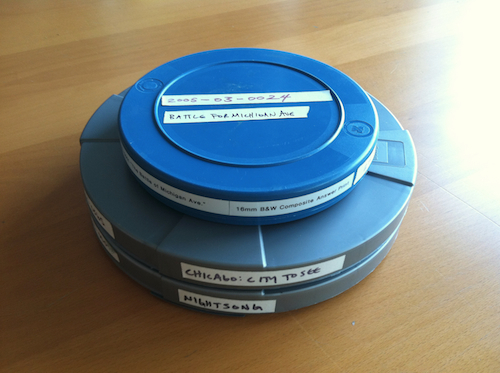 This collection of films is comprised of 6 short subjects, 9 features, and a set of newsreels, all produced between 1935 and 1956 (CFA is lucky to have this entire series within our Chicago Public Library film collection). The films include comedies, dramas, news, and musical performances, and were made outside the Hollywood system by pioneering directors and producers such as Spencer Williams, Oscar Micheaux and William Alexander. More on the MOVIES UNDER THE STARS series and tonight’s screening here.